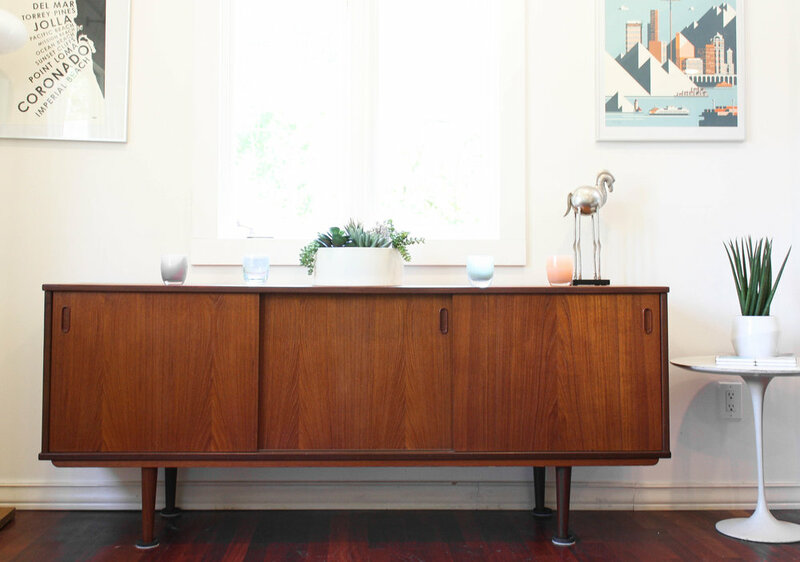 We are lucky to have this insanely gorgeous and minimalistic Danish Modern sideboard. The red and orange hues with beautiful teak graining steal the show. 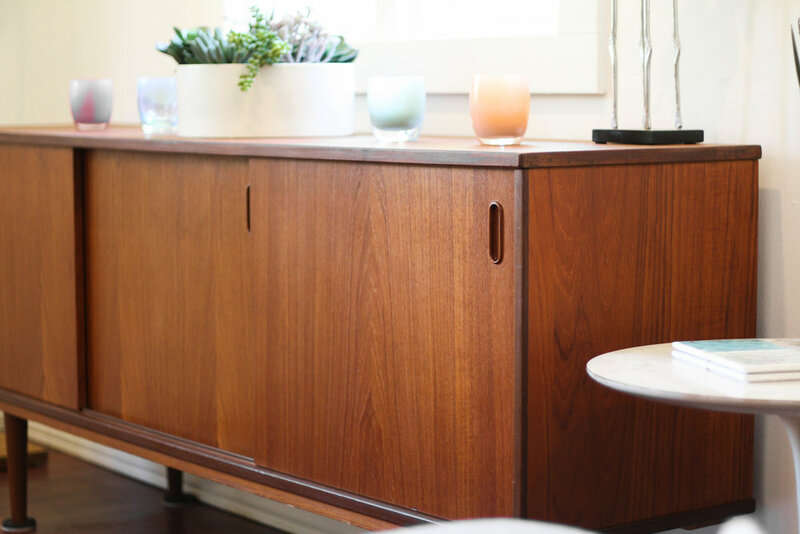 Three sliding doors feature oval inset pulls and each compartment reveals a generous cubby space that should meet a variety of storage needs, with adjustable/removable shelving, and two drawers behind the right slider. 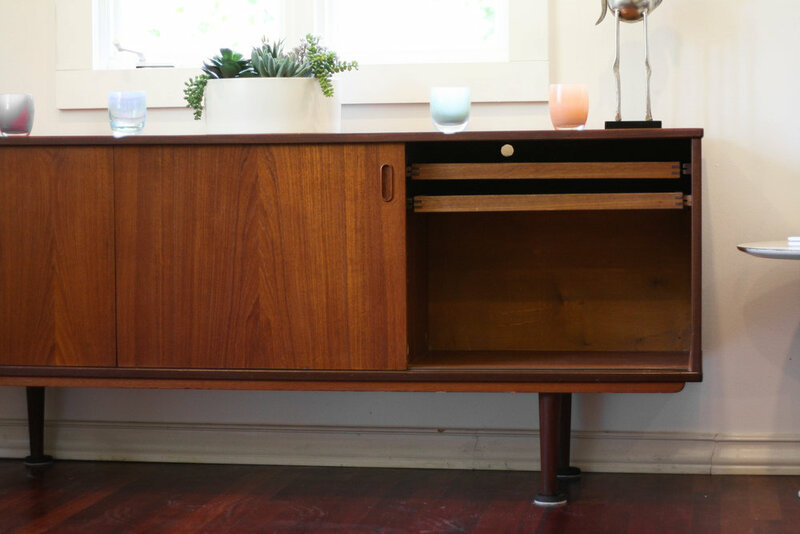 As noted by the photos, this piece shows beautifully and is in good vintage condition. 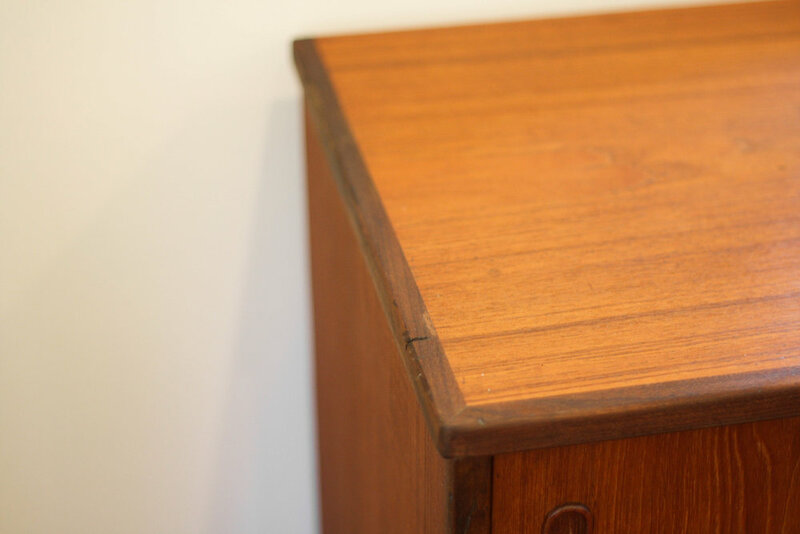 That said, it is 50+ years old so it has signs of use expected with any vintage piece, imperfections like scratches, dings, missing veneer slivers, etc noted in the close up photos. 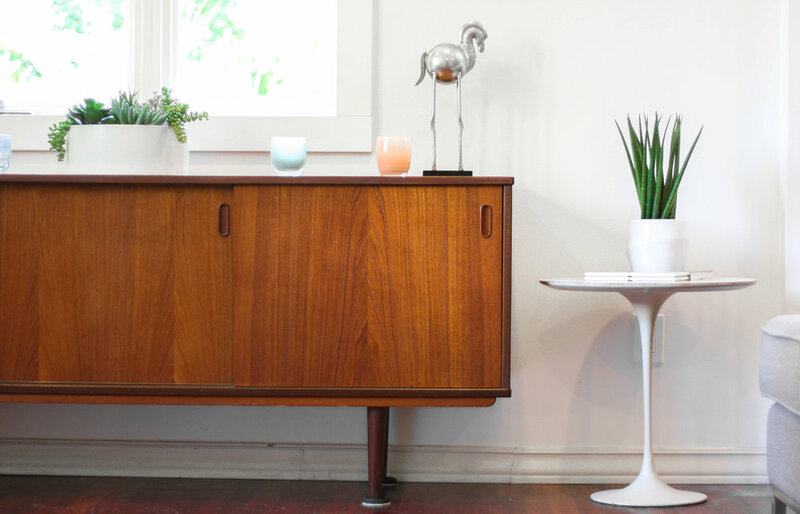 Imperfections are part of the charm of a true mid century piece and unless your houseguests inspect every square inch of your furniture, these imperfections are not easily noticeable. As you can see from the various photos, it shows wonderfully.